François Mauss, President of the European Grand Jury is making a remarkably firm stand against the new book of Hanna Agostini, which contains serious accusations on her former employer Robert Parker. At this place I will not dive into the history preceeding this book (the so-called Geens affair), nor will I look at the actual accusations. But in general: it seems that a lot of vulgar drama is involved here. With his explicit reaction François Mauss is now adding a new chapter to this ongoing soap opera: "(...) this is the end of an era about the relations of Mr Parker with the Bordeaux world". - "My friends: we are entering a tsunami period. It will take time, but it will hurt, and hard." - "Obviously it is very hard for you to catch the terrible effects this book will bring, first in Europe, then, most probably, in USA and Asia." - "We are at a cross section. Nothing will be the same." - "This time, believe it or not, is something which will have an other dimension than the regular journalists' articles about "the end of Parker"." These quotes come from the long thread on the eRobertParker.com Bulletin Board. Mauss starts the thread with a clear message, later to be followed with his more emotional cries as the discussion (almost 80 reactions already!) evolves. Mauss has also published his account on his own European Grand Jury website. 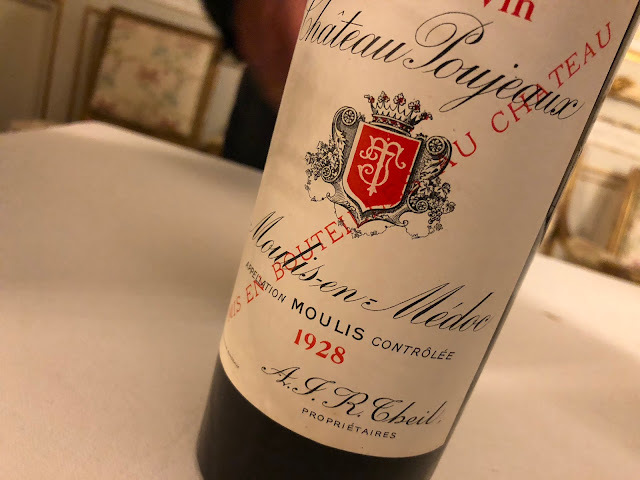 If you're interested, and want to know why we should expect heavy weather around the person of tasting pope Robert Parker, just check out the thread. The sales of Agostini's book, Anatomie d'un Mythe, will undoubtedly benefit from Mauss' hyperbole. It will be available (first in French only) by October 25. Also the editor's expectations seem high: a special website has just been launched to present the book.